It took me years to learn patience. Oh how I prayed for patience for so many years, and what God sent me repeatedly was times where my patience was tried. I thought, how can this be, but he gave me the opportunity to practice it. Here in Minnesota, it is now March 2, when many of us are SO. OVER. WINTER. My commute to work is approximately 50 miles (one way) and I spend an average of 3-4 hours per day in the car in the winter. I am by now an expert at patience. This week of course winter persists, and we all wonder when it will ever be over. I thought I’d be giving you updates on our maple syruping project by now, but winter says no, not yet. The piles of snow around our land makes it near impossible to do anything on our homesteading level except to walk out to the chicken and goat barns, which is getting increasingly harder to open and shut the doors without continual shovelling out. The roof of our chicken aviary collapsed under the tremendous snow so come spring, there will be rebuilding. Do you ever feel like that? Besides just winter. When you want something so badly, but God says, no… not yet. In their wonderful book, “In the Wait” by Holly Holt, Courtney Bobko, Amanda Jass, Chelsea Ritchie and Heidi Anderson, they beautifully share how God moved through them during seasons of adversity and waiting. How God built their faith and revealed a purpose for the waiting, through cancer, miscarriage, and more. Now, I don’t know if we actually need quite this much snow, but I do know that arctic tundra (Minnesota), snow provides insulation for the soil, so that the extreme cold temperatures don’t freeze the soil as deep as it would otherwise. If we had no snow, the cold temps could freeze the soil so much that it would affect roots of shrubs and even trees. It also provides a home for some animals and protects them also from the brutal cold. I’d love to close out in this song Seasons, by Hillsong Worship. It so beautifully illustrates how God doesn’t give up on us. While we might be in a (metaphorical) season, or in the (literal) winter, there is a beautiful reason for the wait. Even if we don’t know what that is yet. Instead you sent a child. 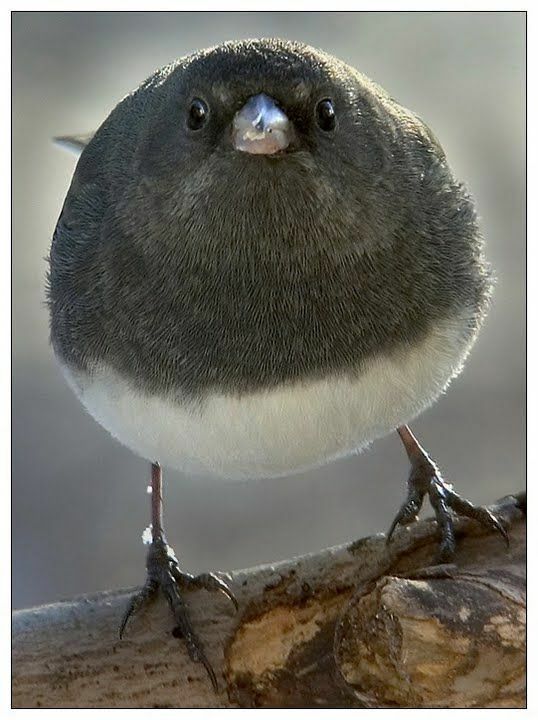 As time went on I discovered that dairy, legumes and grains (oats, barley, wheat/gluten) caused an incredible amount of inflammation, bloating, heartburn, and other discomforts that I realized, I really need to break up with dairy, and limit my grains on a daily basis or risk feeling like this bird! 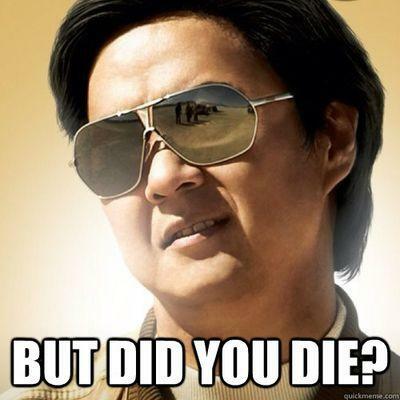 While I’m not Celiac and do not have a life-threatening allergies or a specified condition, I don’t think legumes, many grains (specified above), or dairy are really all that good for me but then again, I don’t think all this Minnesota snow, sub-zero temps, or spending 15-20 hours in my car each week is good for me either… but I digress. Turns out. milk definitely does NOT do my body good. I recently worked with an Internist, (Dr. Hannah) who full-heartedly agreed milk/dairy is my main problem, and while some of my bloodwork showed some inflammation and a lower-end TSH (hyper) value, she isn’t all that concerned and stated I’m healthy as a lark. My lower TSH value is a good sign that my metabolism is working good as it should! My Lipid panel came back absolutely perfect with a nice high HDL cholesterol, and very low Triglycerides, so she said, eat what makes you feel good, and don’t eat what makes you feel crummy, but if you go somewhere and it looks worth it… GO. FOR. IT. Now, of course, there will be parties and dinners out where the inevitable creeps in and I won’t freak out. I don’t get that ill…(I actually do experience an incredible amount of inflammation however in my shoulders, back, my bursitis flares up in my hips from my 2016 injury with Crosby, debilitating heartburn and bloating to pretty much write these food items off in normal circumstances… but I’m not gonna create a scene at a family function, or sit there and starve… ). I’ll make the best choice possible, or, if it looks worth the pain, I’ll indulge. I recently picked up a copy of, “eat what you love” by Danielle Walker. It’s amazing and couldn’t recommend it enough to anyone following a grain, legume, and dairy free diet. There are so many recipes that she has recreated that are reminiscent of my childhood staples. Chicken Divan anyone? Over the next several months, I’m going to be trying out a few recipes that I can take to the backcountry that are dairy and grain (see above) free. Perhaps I’ll have to create a post with “test kitchen” results! Stay tuned. Meanwhile, in my next few posts, I’m going to be taking a sharp turn away from my adventures in food elimination, and the paleo-way, and talking about our adventures in trying out maple syruping on our homestead! 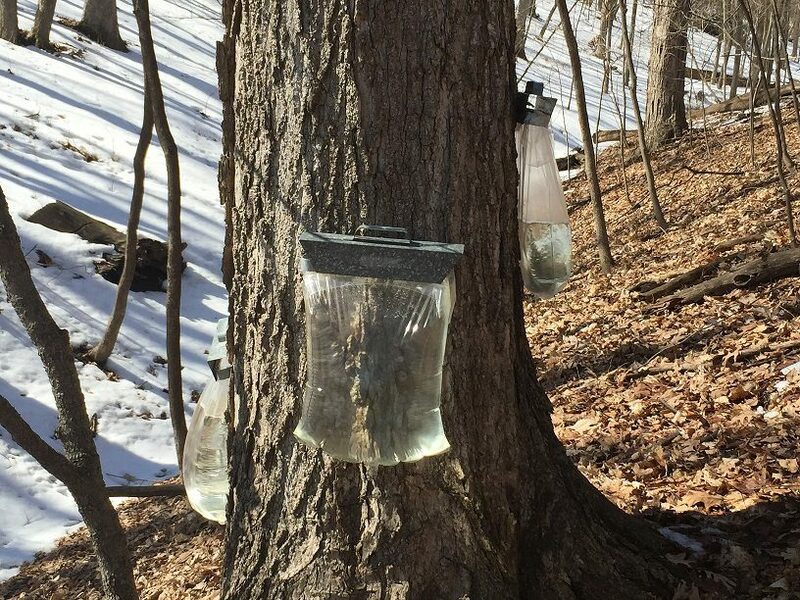 Last fall I hiked around our 20-acre property and discovered we had over 20 maple trees on our land. Seven are ripe for the tapping this year, so we’re going to try our hand at it, and see if we have any success. Day 15! Can you believe we made it? I contemplated posting once-per-week, but I did that when I did a successful W30 back in 2016, and you can read all about it over here. Further, in order to achieve my 2019 goal of blogging more, I’m hoping to post twice a month on the 1st and 15th of each month going forward, instead of “all-the-sudden trying to climb a mountain that is too big” with posting weekly etc, so lets start with a realistic goal shall we? What do you think? Can I just tell you guys how lucky I am that my family is was doing this with me? When I did this on my own back in 2016, it was so hard! The fridge and cupboards were stocked with “non-compliant” food and I had to will power my way through it a few times. The subsequential other times I tried doing a W30, back in January 2017, February 2018, and September 2018 I failed miserably despite wanting to succeed. This time, since we only have Whole30 food in the house (upstairs anyway), there isn’t a real possibility to slip. Jason: Ended up going off the program as of Friday the 11th, but agreed he’d stay W30 at home. I think this is a great compromise. He works construction, so his lunch choices were limited unless he wanted a salad for lunch, which he did not, and he wasn’t on Whole30 for himself, but rather in support for me. The amount of money we were spending in nuts, and compliant jerky/snacks was a pinch ridiculous for “sympathy eating”, and I could tell he was miserable, so I cut him off from feeling obligated anymore, and his mood lifted. I think her lunches looked pretty darn good (and as you can tell by all the fruit, the girl is not lacking in the sugar department)! Truth be told though, I think we’ll wean her off the program this Friday night, however. As a growing pre-teen, she needed more calories but just wanted fruit. The girl plowed through two pints of raspberries in one sitting. We decided her fruit addiction needed to stop, so as of the 18th – she’ll be in re-intro mode with some high-quality full fat, grass-fed dairy. Hopefully, 18 days was long enough to get some stuff out of her system. I’m genuinely interested to know if she is dairy or gluten (or anything else) sensitive due to frequent complaints of tummy pain. She did say, she still wanted home lunch however unless the school’s hot lunch was irresistible. Sounds 80/20 textbook Paleo to me! We shall see. Me: I’m still going strong! (Don’t worry, I’m not bailing). This has been my best attempt yet. I feel in control, and not overly missing, “All the things”. The food choices I’ve prepared have been better, and I’m snacking a lot less which tells me my meals are balanced right. I’m also feeling – AMAZING. My painful heartburn, which plagued me nearly every day, along with bloating has completely gone away. My ‘severe’ shoulder/back pain/inflammation that would nearly take my breath away, (that I blamed on our bed not being comfortable) all but disappeared. (Clearly, it’s not our bed, it was inflammatory foods.) Further, despite only getting an average of 6-hours of sleep I wake up in the morning completely refreshed. No more waking up in the middle of the night, tossing & turning while I process sugar from my nightcap(s) of wine and sugary snacks that went along with said wine. (Ahem pretzels/chips & salsa). So – for the next 15 days I will continue to cook W30 dinners for my family, while also re-introducing foods for our daughter. As for me – Cheers to the next 15 days! – Do you have any resets that you’re doing in the month of January? – Do you experience chronic inflammation such as upper back/shoulder pain, or acid reflux? Have you ever tried paleo, or removing potentially inflammatory foods? I hope everyone had a lovely time with their family and friends over the holiday season! We had an exceptional time recouping and NOT checking e-mails etc. We all go back to work and school tomorrow, but despite LOVING the time off, I suppose we can ready ourselves to contribute to society once again! One thing I debated (for the entire month of October, November, December) was if I was going to do Whole30 in January! I had one successful go back in April of 2016 and really enjoyed how I felt. I’ve tried doing another Whole30 (or three) since, with little to no success… quitting on day 12 back in 2017, and quitting on day 3 in 2018, and I’m pretty sure I started Whole30 in September ’18, but I can’t even keep track. This time, my family has SHOCKINGLY said they would do it with me! (Or at least start…) I actually couldn’t believe it, so I tried super hard not to overwhelm them while simultaneously buying ALL THREE Whole30 cookbooks, and strategically placing them on the kitchen island. I replaced my wine rack with my paleo/Whole30 cookbooks, and the new Day by Day journal I just picked up at MOA this past weekend. Jason bought me all new Calphalon cookware for Christmas. I feel extra ready. While I know I’ve failed at several attempts since my first successful go back in April 2016, I am committing 100%, and really want to be successful. No more saying, “I might fail on day 4… “It’s like quitting before I even start. Kay has picked up on the fact that I jump full in on Whole30, and quit days/a week into it. I want to show her that I/we can do hard things and stick with it. Extra mama motivation. I don’t know if they will both stick with it, but I’ve successfully convinced my family I’m NOT buying any dairy, gluten, added sugar items any longer. We ate up and feasted upon the last of the Western Dressing and shredded cheddar cheese for our salads. Going forward (for the month of January), I WILL NOT buy anything non-Whole30 compliant! Jason has been dairy free more-or-less for a month or so, and poured a glass of milk and had some tummy pains, so since then he’s stayed away. I picked up one final 1/2 gallon of grass-fed milk last week so the girl could finish her cereal, but with all the eggs we have I’ve declared everyone is eating eggs starting January 1! We haven’t bought a loaf of bread since Thanksgiving, and I’ve packed away all of our non-compliant spices and put the sugar and flour away so it is out of sight, and out of mind. Previously while I’ve been fully committed my family has not, and honestly when my husband has come home and cracked a beer, I thought, mmm – a cider or glass of wine sounds so divine, and I’ve just cracked. I seriously have no – self – control. While I really hope my family sticks with it for the Whole30 days with me, they’ve at least committed to eating Whole30 in front of me. I cleaned out our cupboards, and fridge yesterday, so instead of just one shelf being W30 friendly now everything is. Kay keeps opening and closing the pantry and fridge expecting pudding cups, and mac and cheese to magically show up. Cheers to a healthy start to the new year. I’m excited I have some pals doing this with me (i.e. my family), and excited to see where we all end up! Kay has been having sleepovers with her besties in the suburbs from our old neighbourhood (At least we didn’t move across state or country so we’re still within an hour to our old stomping grounds), and she started 4th grade! The drive to her school has been interesting, but training me for what is to come when we move even futher out of town. We FINALLY got a permit for our house build on August 22! Footings and poured basement walls are done! Next up is waterproofing and backfilling, and on deck is framing! Had a few bonfires because our bed would not fit outside of the bedroom, so we had to tear it apart… along with the piano that nobody wanted, or the picnic table that was too large to move, and that the new buyers didn’t want either. A few friends joined me for the final bonfire at our house in the suburbs. We enjoyed wine, memories, and a fine time. We’re officially living in the country with our in-laws, and settling into this dirt.road. country life. Meanwhile, the excavators have arrived on the land!! 🤗 Forward progress is awesome!!! Look… I have a real driveway now! An EF-1 Tornado dissipated right where we are staying at my in-laws homestead. Never heard alarms, no alarms on the phone – nothing. (Thanks a lot NOAA 😡) Makes living without power for over 24 hours fine compared to what could have been! Thank you sweet and merciful Jesus! Kay had a wonderful time at camp learning about making new friends, kayaking by herself, and learning a bit of self-sufficiency! Later this month we visited the county fair in the county we will be living at, and decided that out of all county fairs we’ve ever been to, that this was our favourite. Kay is hopeful to join 4H next year, and show goats, and rabbits. I swooned over the goats and can’t wait to make that dream a reality!